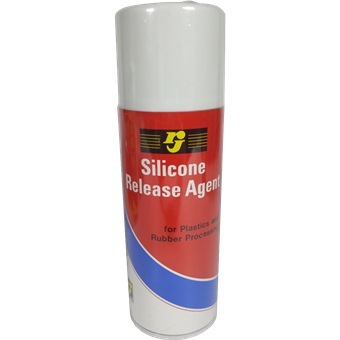 RJ Silicone Release Agent is cleaning materials and lubricants are ready to use. Odorless during spraying and can be used in small spaces / narrow. Usually used to clean and lubricate the injection molding machine (molding), cleanse and lubricate roll coating machine. The resulting thin mist form a uniform layer of silicone on the surface of the mold, so that the mold can be easily removed from the mold, one mold spray can be used several times, very economical.